Learn more about the historic voyage of the H.M.S. Challenger. Scientists from all disciplines set out on December 21, 1872 for a four year research cruise to map the sea and its contents. 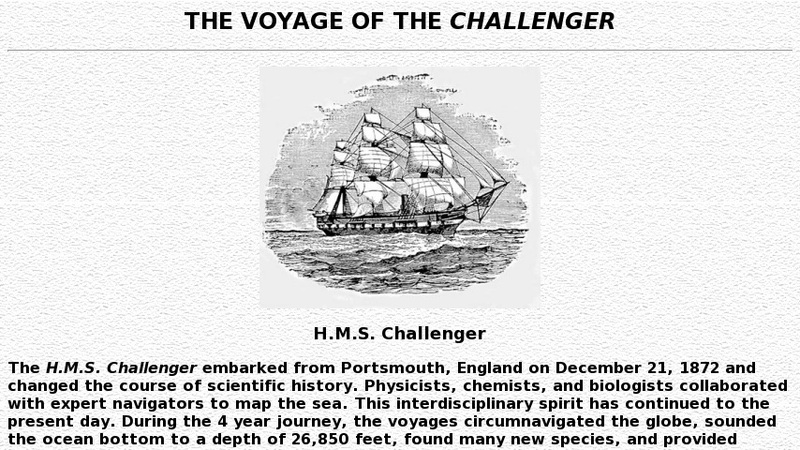 This voyage paved the way for the development of marine biology, as we know it today. Site contains information on the instrumentation and laboratories used during the voyage and some of the important scientists that made the journey.